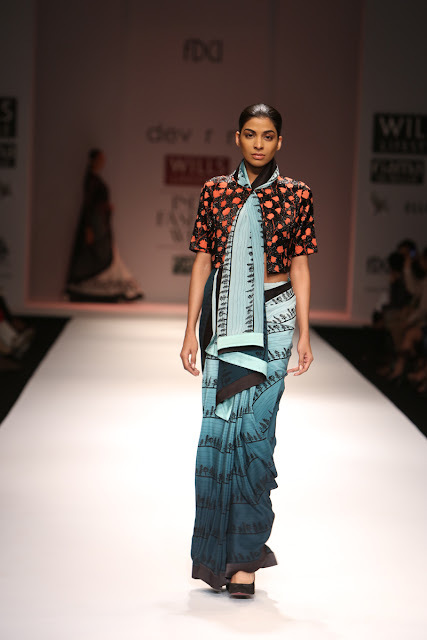 Many of the collections on Day 4 fell flat for me. Some of the designs we've seen over the past year and really don't belong on the catwalk while others just seemed to try too hard! 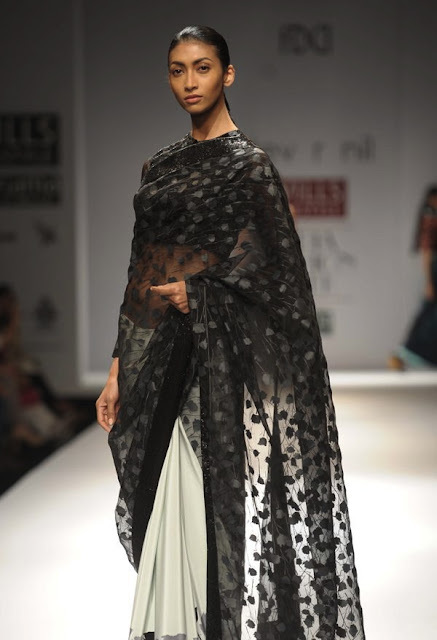 Below are my favourite from Day 4. 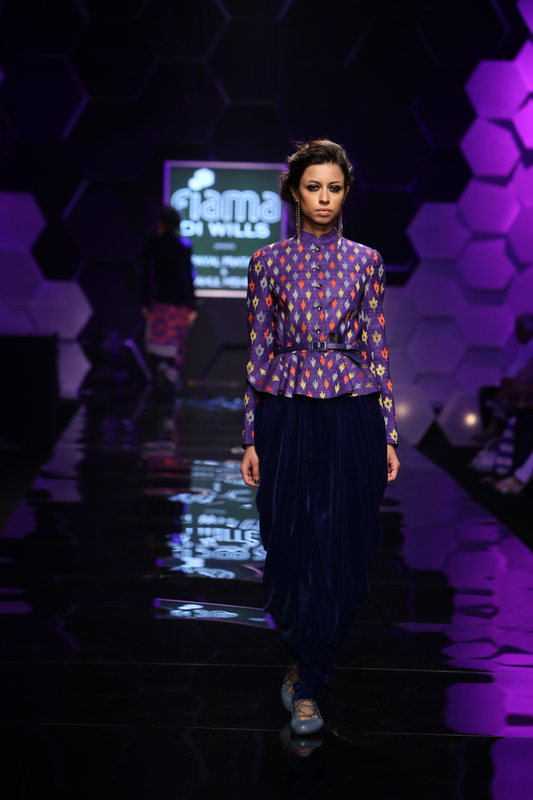 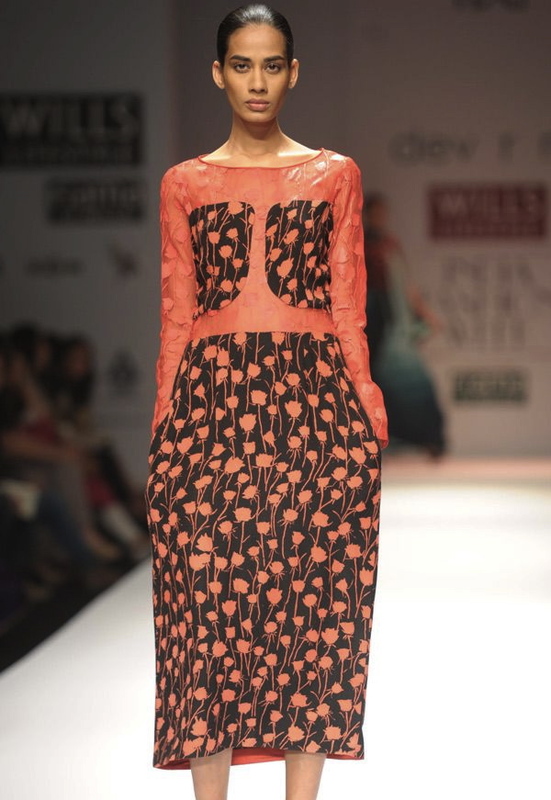 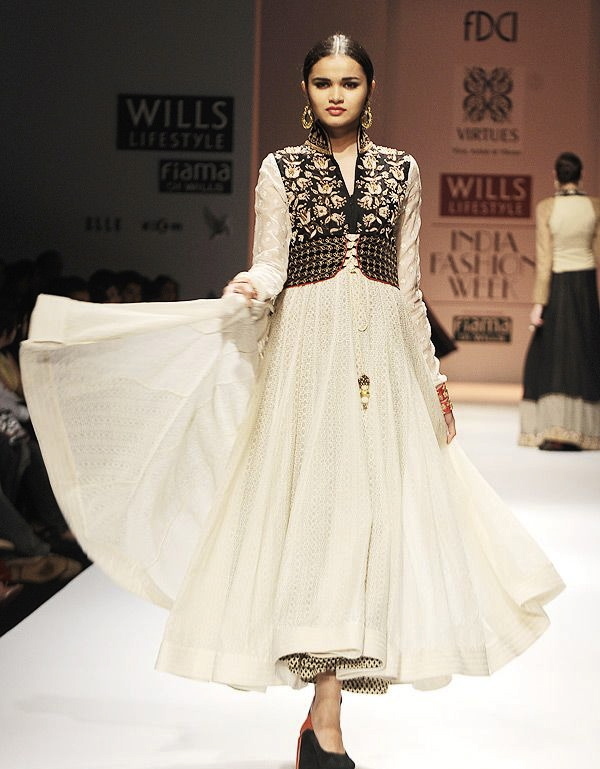 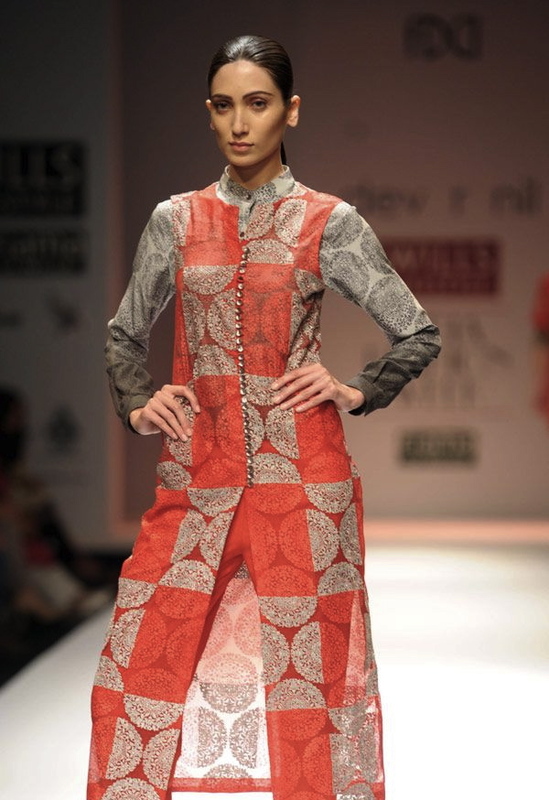 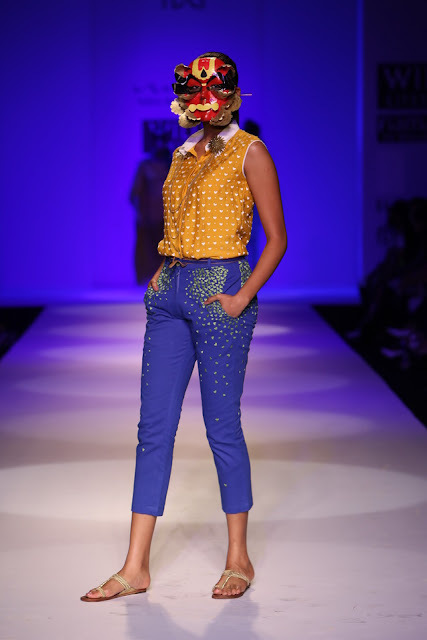 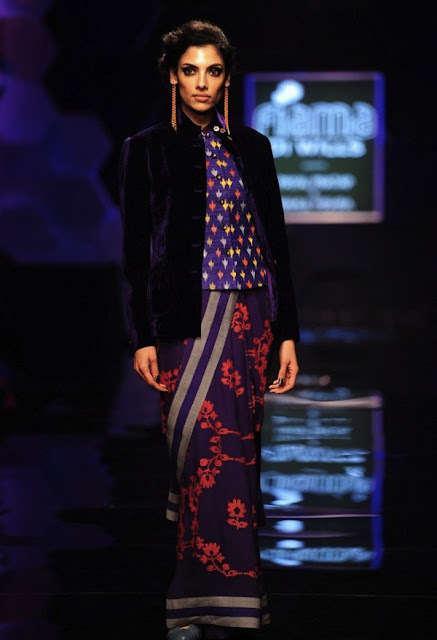 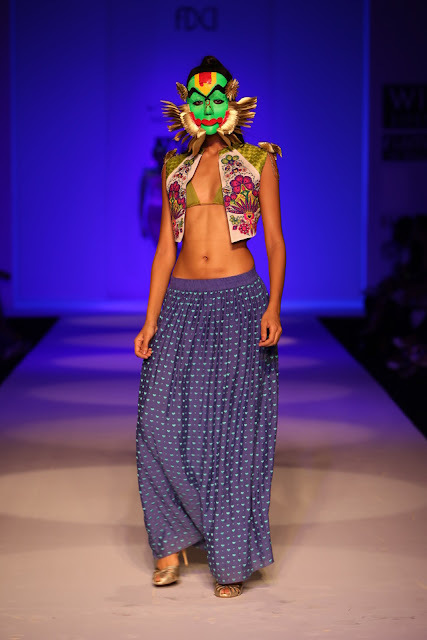 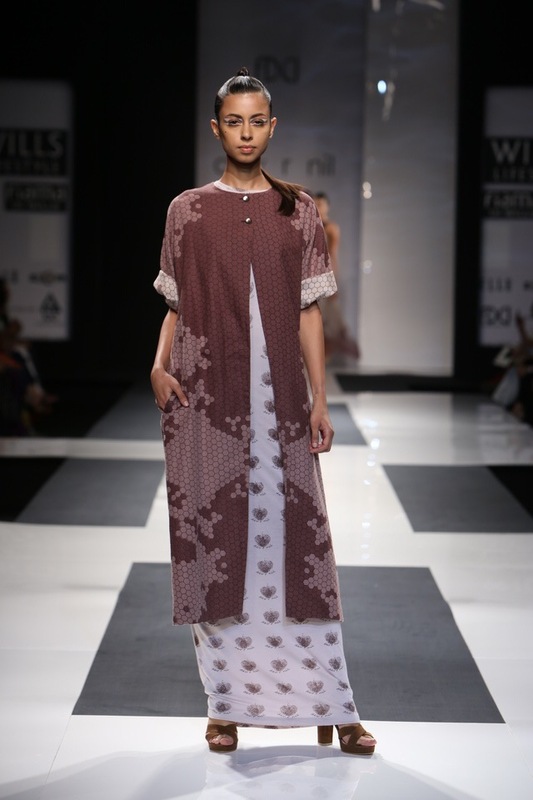 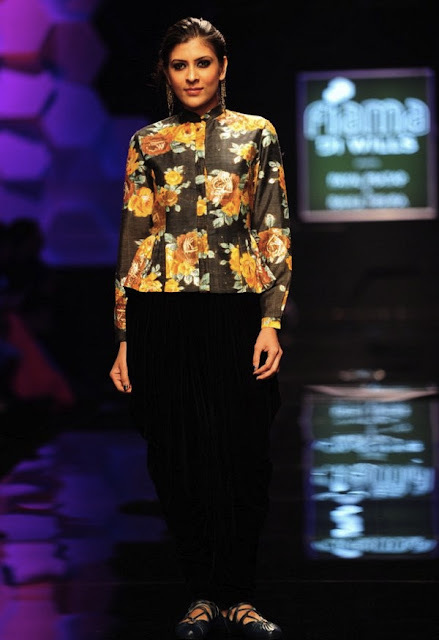 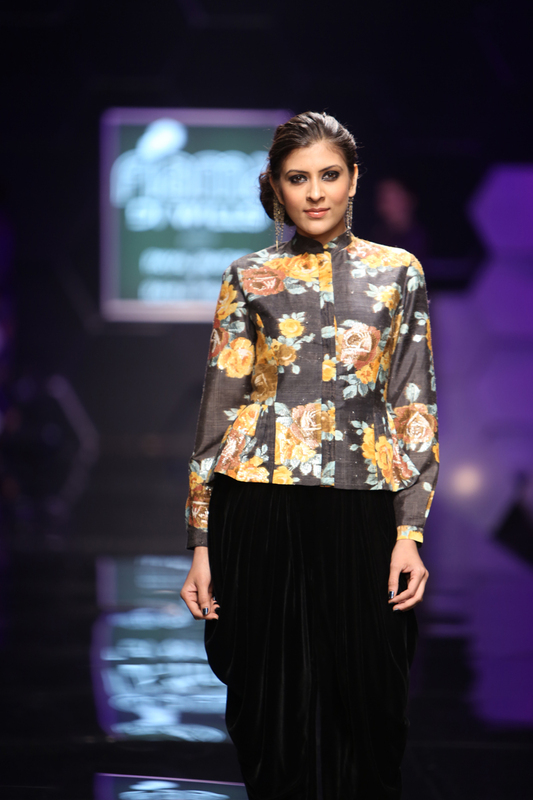 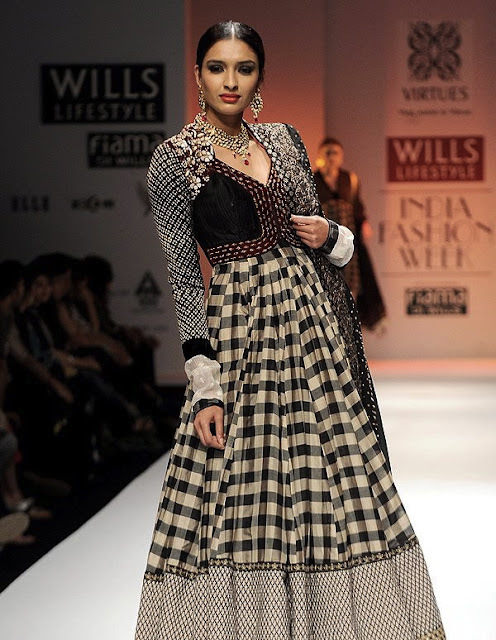 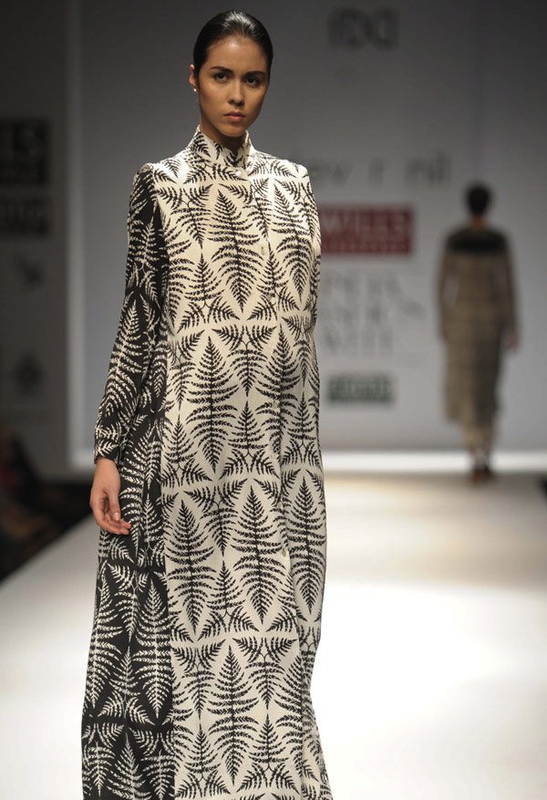 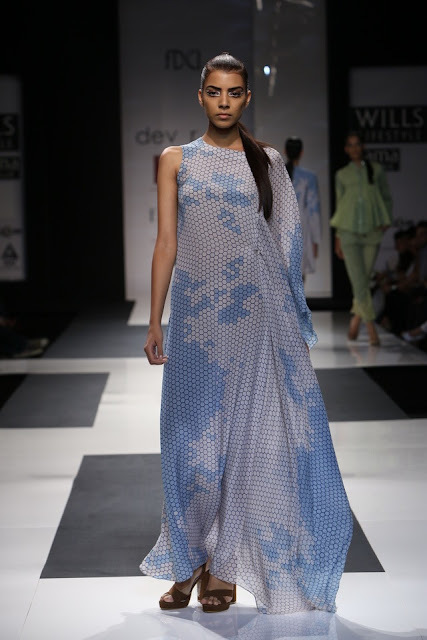 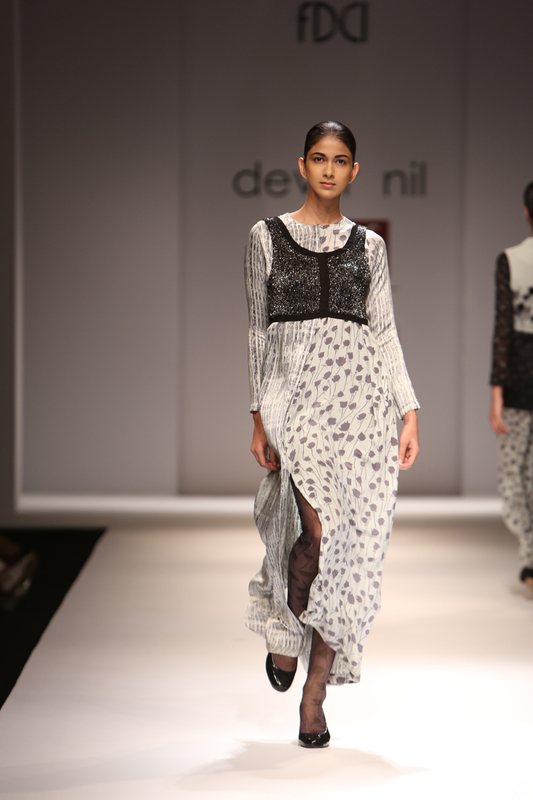 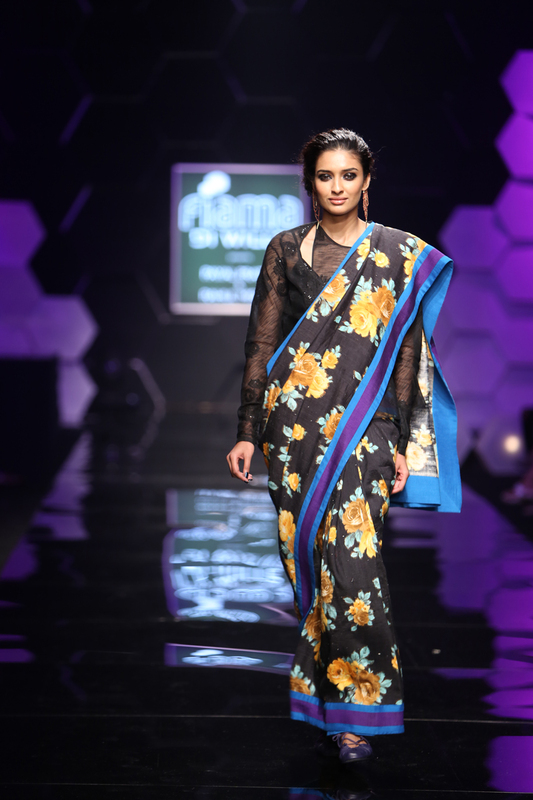 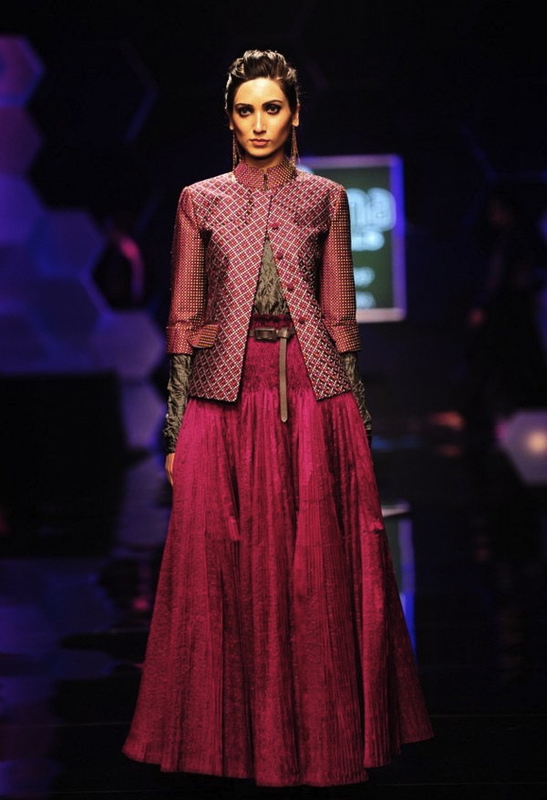 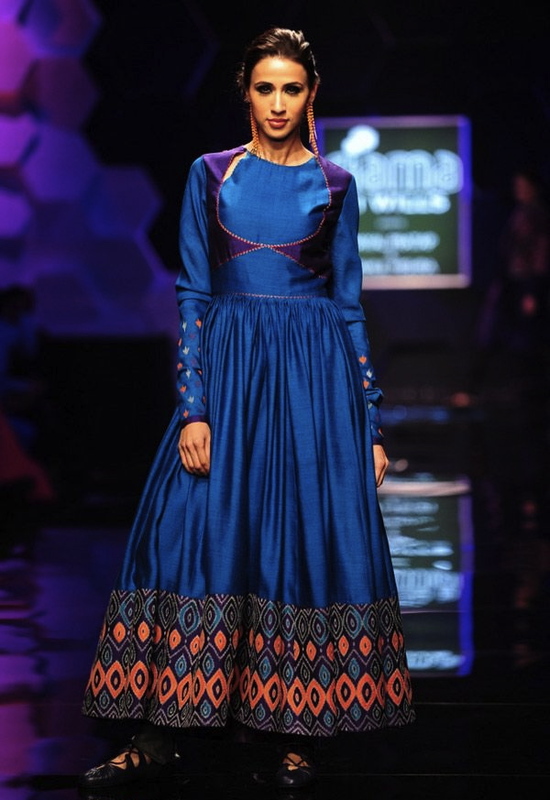 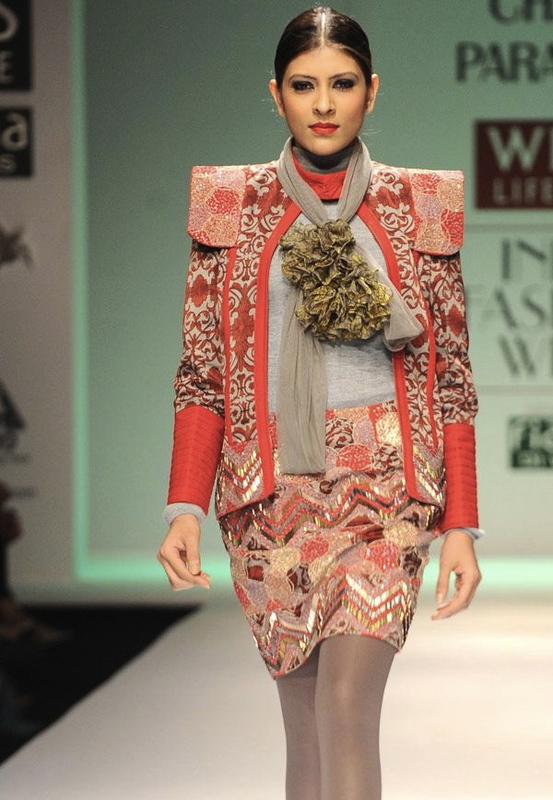 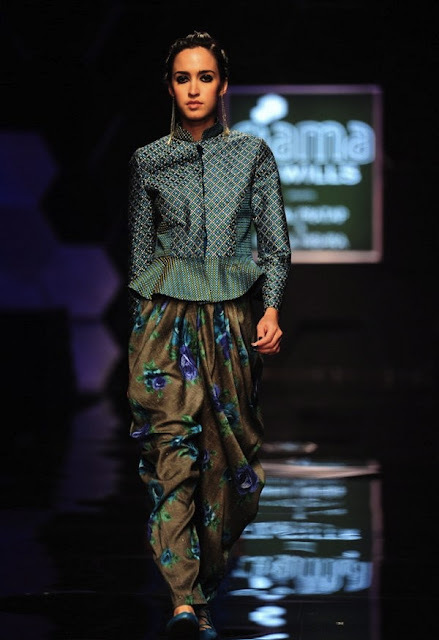 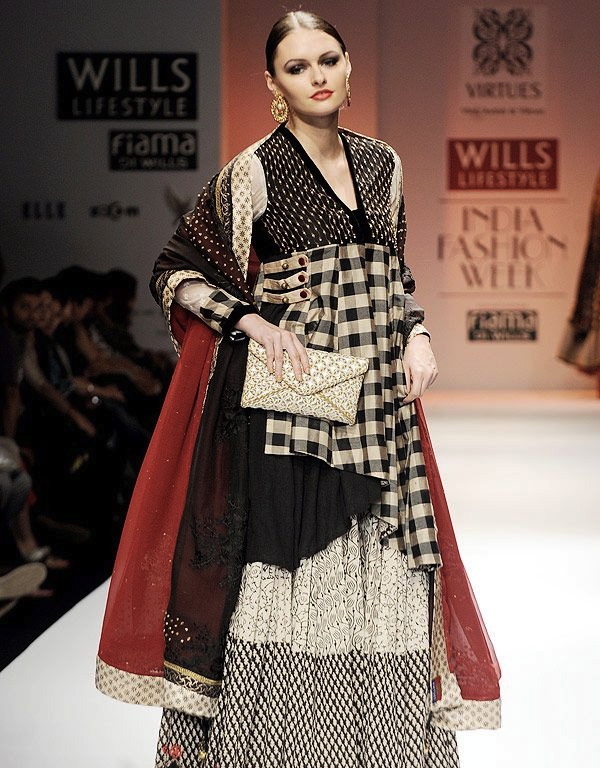 Dev R Nil - There's a simplicity in his designs with the colours, prints and cuts that I really like. 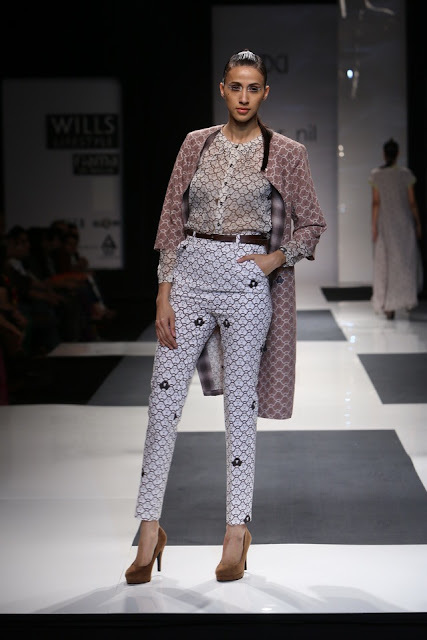 Great job styling by mixing different prints as well. 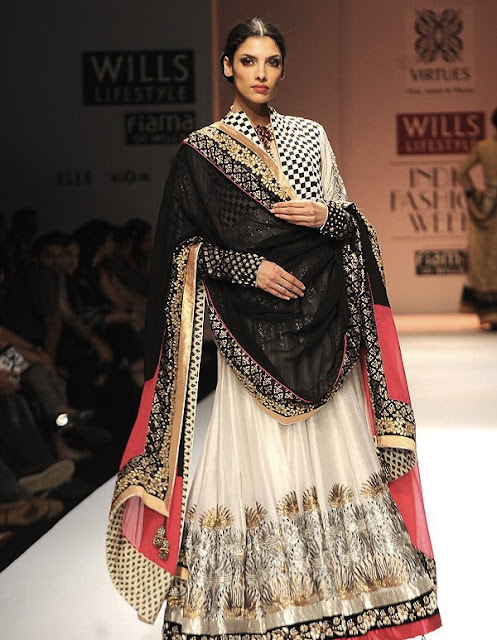 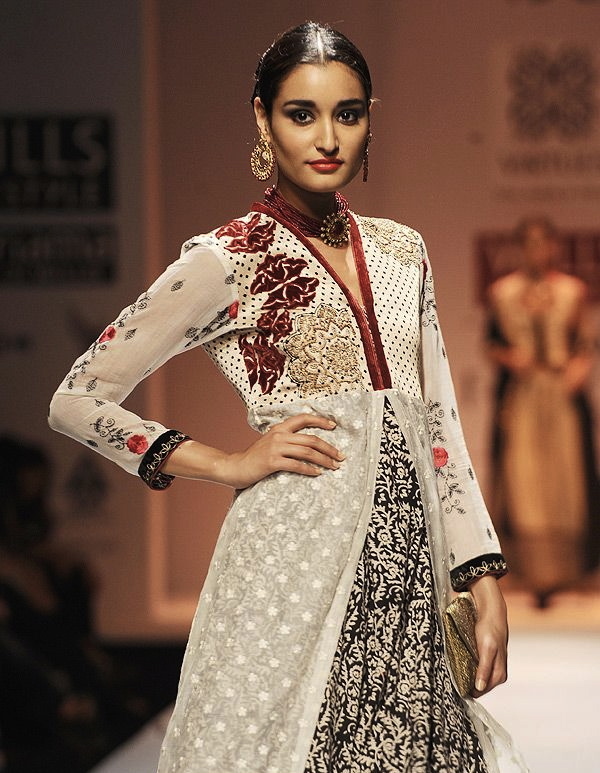 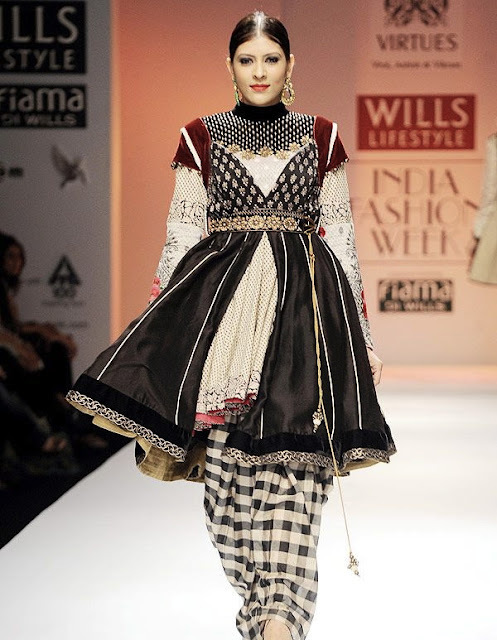 Payal Pratap- Very rich colours and fabrics with a more traditional take on designs. I love the floral prints as they seem a bit more vintage, not to mention that the silk used for the clothing is gorgeous. 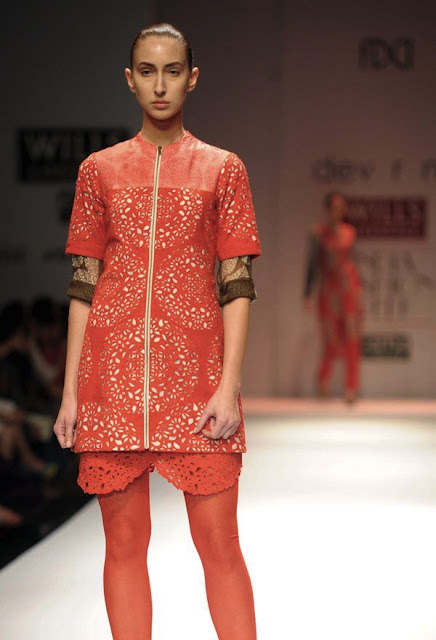 Pia Pauro- I've always really liked Pia Pauro's designing and this collection is no exception. 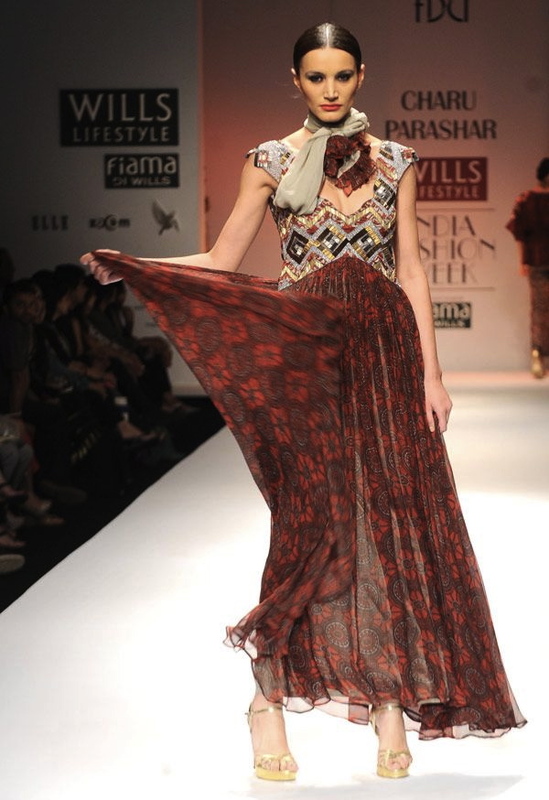 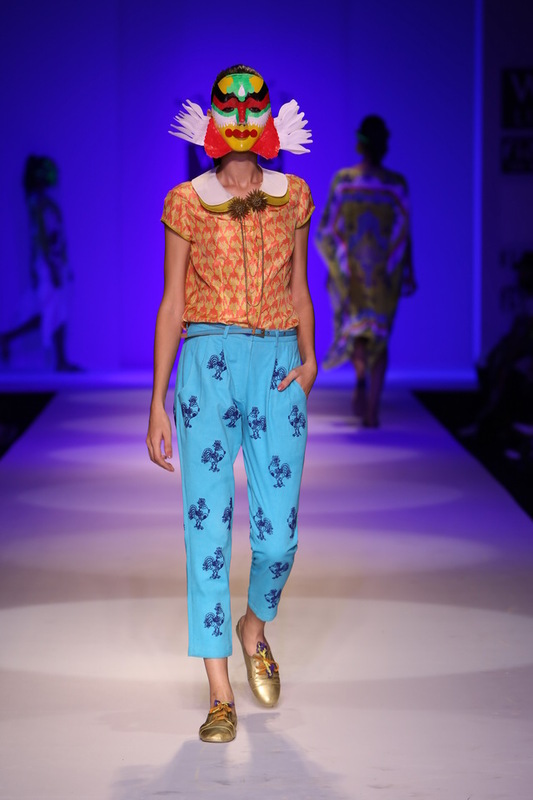 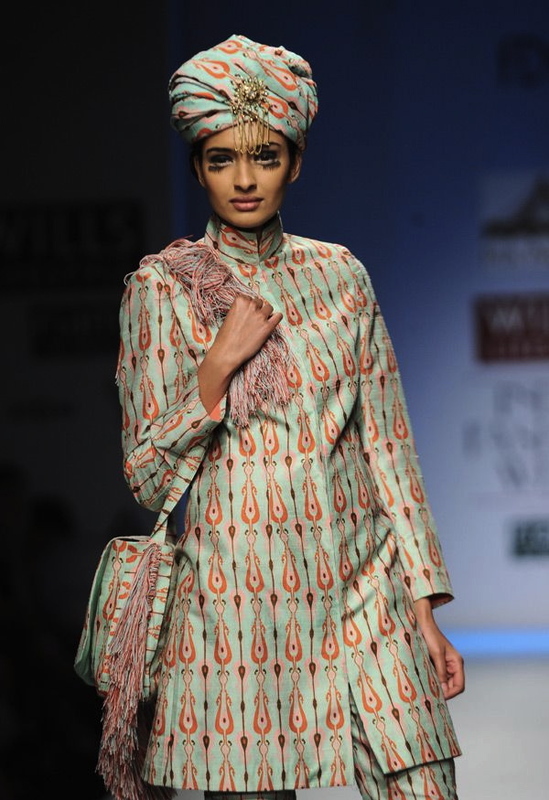 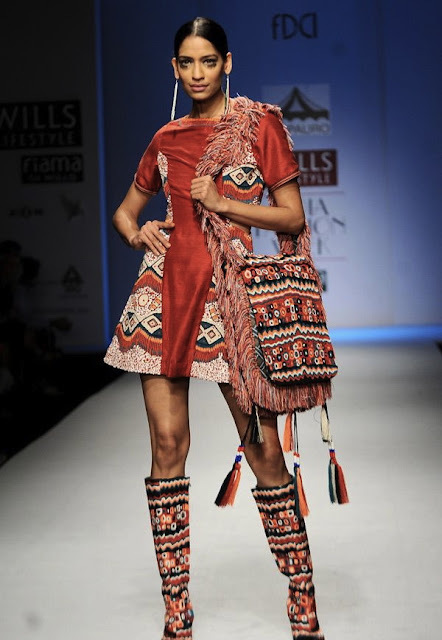 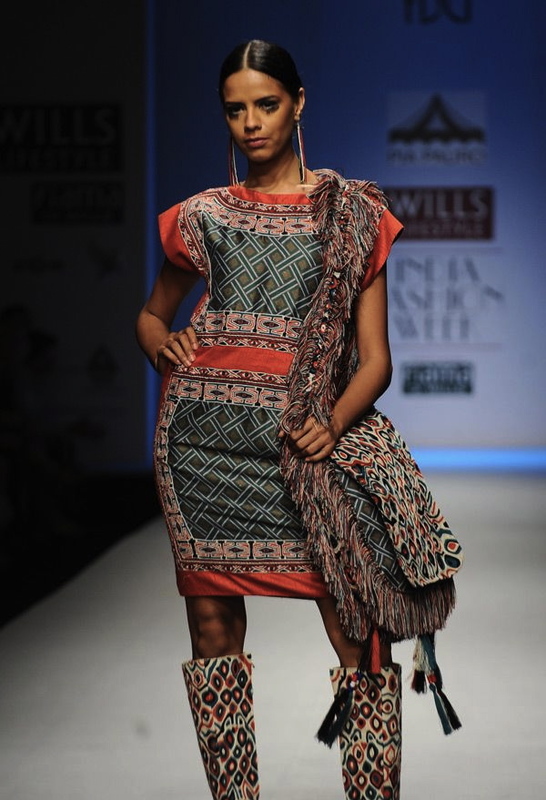 She used an Indian tribal influence through the prints, fringe, and turbans. Love the styling! 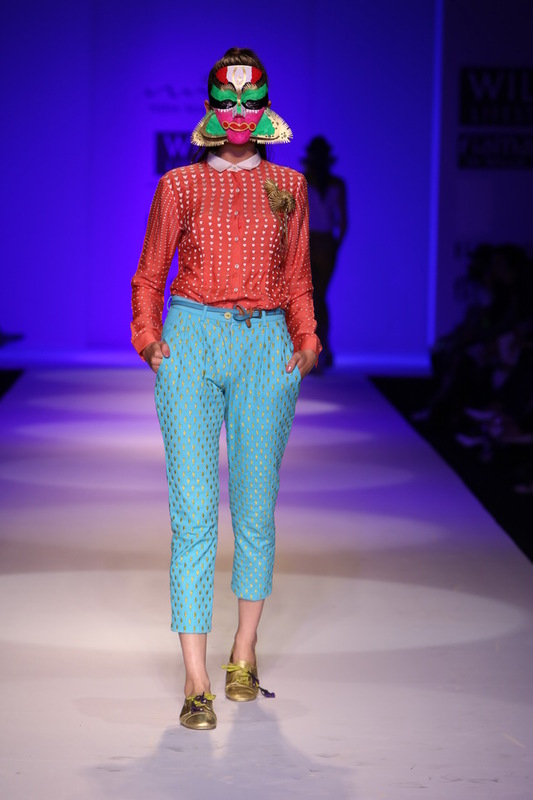 Ashish & Vikrant - This collection makes me think 'country girl chic' from the check print that's been carefully added to the pieces. 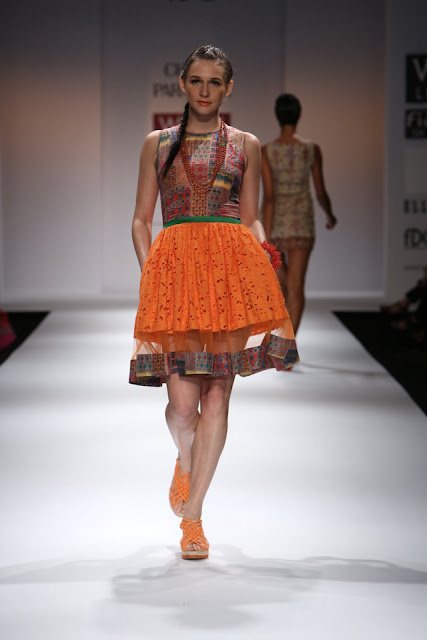 I really love the look of this collection and how the prints, fabrics and embellishments are mixed together in a beautiful way. 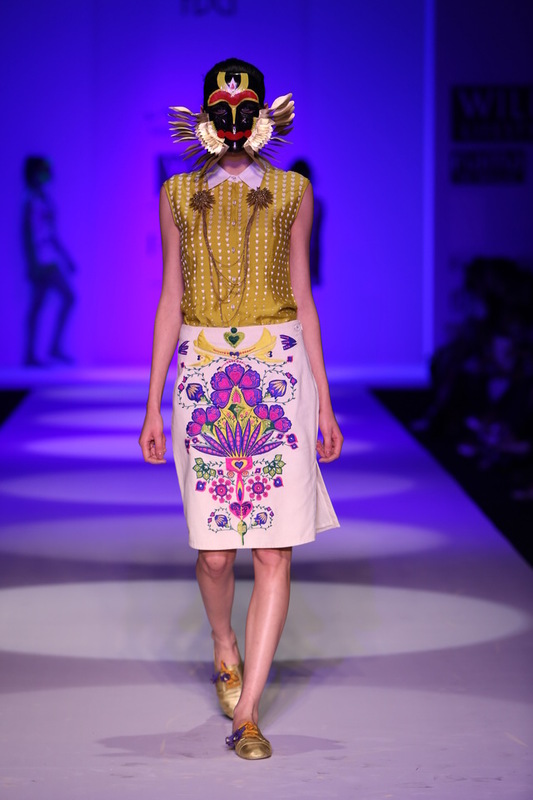 Charu Parashar - You can really see a Russian influence in this collection from the prints and accessories - hats, capelets and gloves. 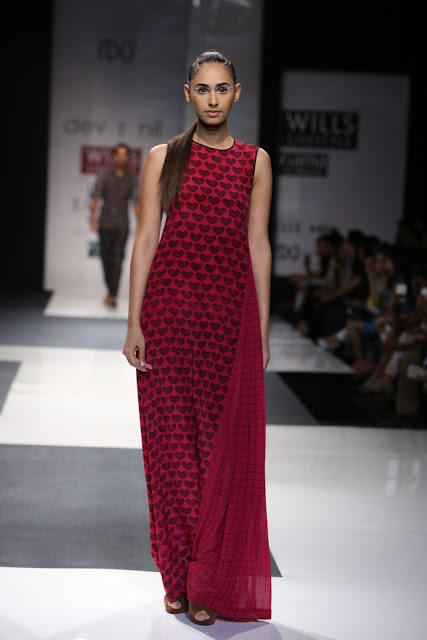 We're also seeing structured shoulders and emphasised waists. 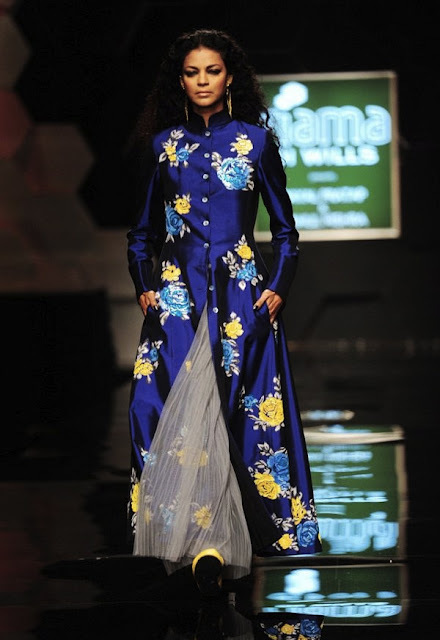 Nida Mahmood - Great ready to wear collection featuring bright colours, polka dots and beautiful prints. Love the cropped jackets and metallic shoes!